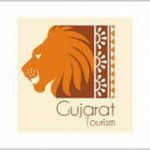 Manager (Event) Vacancy – Last Date 31 January 2019 (Gandhinagar, Gujarat), Tourism Corporation of Gujarat Limited (TCGL) recruits Manager (Event) posts. Graduate experienced candidates can apply. Organizing and implementing events round the year in Co - ordination with seniors. 1. Candidates should submit their application with bio-data along with certify copy of all certificates. 2. The Recruitment will be on purely contractual basis. 3. The Managing Director, Tourism Corporation of Gujarat Limited has all the Rights to accept or reject the application and also the cancelation of whole Recruitment Process.